Do you need ERP and why? Today we continue Enterprise Resource Planning discussion and want to overview closer implementation of ERP in an organization. First of all, let’s back to the very beginning – ERP definition. Enterprise Resource Planning or ERP is a basis for organization management. The system is aimed to provide company with the tools and software for better data organization and processing. ERP system consists of different modules, which contains data and divide it for various business areas. The system has the common database, so the company’s staff have entire access to the relevant information. ERP boosts productivity by automating tedious tasks and promoting team collaboration. The first premise to ERP creation appeared in 1913 with Economic Order Quantity (EOQ) invention. This paper-based system was aimed at manufacturing production scheduling. Another ERP predecessor was MRP - Material Requirements Planning system combined EOQ and computer capabilities. 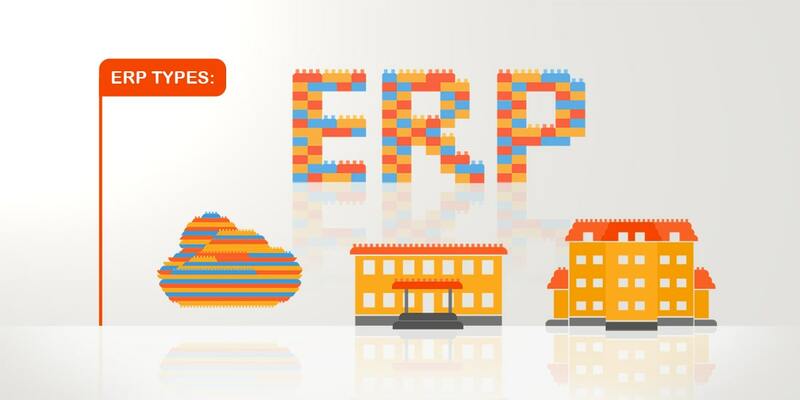 And the first ERP system was created by Gartner Group which added new functions to MRP. Nowadays ERP systems continue to develop with the new trends like cloud-based systems. The demand and popularity of Enterprise Resource Planning system grows. But why and what do they include? Let’s learn below. Employee is the basis of every company, the part from which organization starts. The team strives to bring company profit and promote its development. For that reason, HR department requires a tool to manage staff efficiently. working and holidays hours planning and others. Customer Relationship Management or CRM is no less important than the previous module. Meeting the customer’s expectations is the company’s priority. CRM is a good tool in this way. It stores customers’ data, order history and other info, which helps company to provide quality service based on clients’ needs. These processes automation helps to minimize errors. Thus, the productivity also boosted. These two components are closely connected together as one depends on another. Competition on the market is unstoppably growing and without strong marketing concept there is almost impossible to become at least noticeable. So, to promote company’s profit nowadays, we have to turn to marketing strategy. This module is a core for the companies with manufacturing processes. manufacturing plan, methods and others. The list of core ERP components can be extended according to organization’s requirements and types. Of course, companies differ and the system that suits one company can be completely useless for another. Thus, ERP also differ in types. 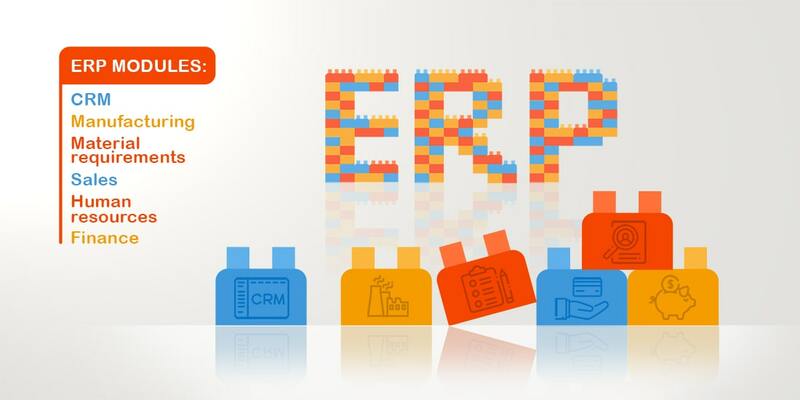 Let’s look at various ERP system more closely. Initially, Enterprise Resource Planning systems were aimed only at big corporations. Their modules were specifically created to be a support for complex processes management. But with business area changes also came companies’ new requirements. Thus, ERP development came even further and now, almost every company can find a suitable ERS system for its business promotion. The first type of ERP system that still exists and no less relevant. Industry-specific ERP system can be a ready-to- use solution or build from scratch for particular organization. But in both cases it is aimed to meet company’s needs and assist in complex organization management. Industry-specific ERP modules support work of various departments and business areas. This kind of ERP system is a scaled-down industry-specific ERP version. It appeared together with a growing demand for a solution focused on small organizations. Small business ERP contains all the necessary modules for effective company management. - the data is in safe in case of technical difficulties. There is one more solution in case the above-mentioned are not for you. There are companies, which have a strong position and their own vision on the market. The companies with qualified departments including IT. In this case they need a unique own ERP solution. And it is possible now to develop ERP system yourself. How? Galaktikasoft Xafari Framework is an answer. This framework base on DevExpress XAF provides you with opportunity to create your own unique ERP system. It is a suit of various libraries and tools, which will help you to implement all your ideas in your ERP system without intermediaries. For more info refer to Xafari page. Do we need ERP and why? 1. Time wasting for simple actions: if tedious tasks take a lot of time it is the first sign to think about changes. When your team spends time for processing simple but long tasks, productivity decreases and priority tasks are delayed. ERP can help here. Some tasks are automated so there is a possibility to focus on important ones as the system will assist you. 2. Constant disruptions and delays: yes, everyone makes mistakes as the world is not perfect. But sometimes these mistakes may cause serious costs. That is why it is much more reliable to prevent them. ERP gives opportunity to escape troubles as the departments work is maintained. 3. Multiple datasets involvement: when teams in different areas use various tools and application for work, it is much more difficult to organize all the data together. Moreover, if there is no common database, new info will not be integrated into the system so the work and cooperation between teams will be a long hard process. ERP is a single tool is this way, which unite the whole data in the common database. Thus, the working processes are integrated into the system and teams’ cooperation becomes smoother. 4. Disparate business view: disparate data leads to absence of company’s present situation picture. There is impossible to give a full overview and ask important questions about your business. Enterprise Resource Planning aimed at data and business processes systematization. It becomes easier to have a report of what is going on in your company. 5. No forecasting system: the best way to escape troubles is to prevent them. To do that we should forecast their possibility. Forecasting and reporting system in ERP can help in it. Yes, implementing ERP system requires particular spending. But think about it as an investment in the future. ERP solves lots of issues from preventing disruptions to overviewing future possibilities. And it is primary aimed at increasing productivity, ease staff work and save money. So, it will definitely pay off. Systematization and planning always lead to better results. ERP provides this option. All the data is divided into business areas and thus it is easier to find the required one. The work becomes faster and more efficient. There is no need to spend time for tedious task as they are automated, so the focus only at primary ones. As we’ve already mentioned, the data is divided into different business areas. The work of different departments becomes easier to maintain. It promotes collaboration inside and outside departments. What is the best way to correct mistake? That’s right: escape doing it at all. Of course, in real business world, it is impossible to insure yourself against mistakes for 100%, but there are some things to prevent them. Forecasting and reporting could be solutions here. These actions help us to determine the pain points, overview the present situation and forecast the future profit and mistakes. So some disruptions still can be prevented. Disparate systems and lots of different tools involvement in business can cause productivity decline. It is much more efficient to have a common database with integrated relevant information. The time and resources will be saved. The head of the company gets a unique and single tool in form of ERP. It provides a clear view of what is happening in every department and in the company in general. That is why becomes easier to manage all the business processes. With all these ERP benefits let’s move on to the implementation advice. Step one Understand the pain points. The first step to do is to consider the present situation. 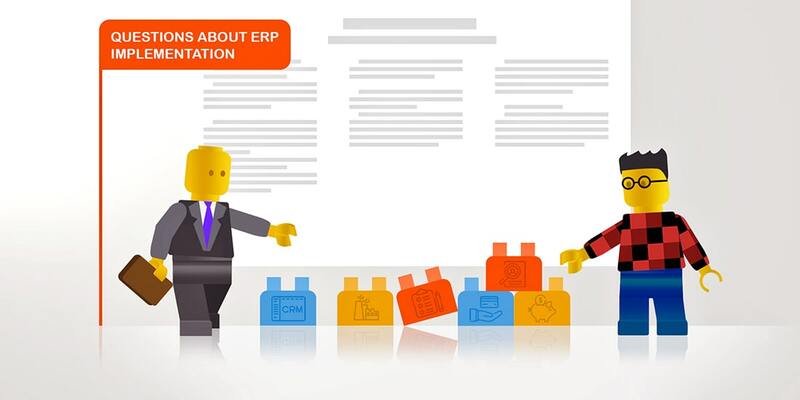 Why did we come to ERP implementation? What problems do we have? These questions you should ask yourself first. Make a list of the pain points your company has at the very moment. Identify the company's needs and the way to solve the problems, make a plan for changes and expectations. Step two Point out the benefits of implementation. Think about what ERP implementation can bring to your company, which of the above problems can solve. This step will help you to understand better why you have started this process. It is also useful for understanding which system you need. Step three Organize implementation responsible team. Now it’s time to share your ideas with employees. Create a team responsible for implementation process. Discuss with them all the pain points you have and benefits of ERP. Make together a plan for implementation stages. Step four Choose the ERP system and vendor. Of course, no less important to choose the correct ERP system and its vendor. According to your requirements and lists above, choose the vendor suits you better and think about right ERP type. Some companies have a free trials and demo versions, so it will be easier to try first without paying. Step five Prepare data and team for changes. Make sure every member of your team is aware about implementation process in general and each separate change. Talk about employees’ role in it. Give them possibility to turn to you or responsible team in case of questions and offers. One more important thing before implementation process is to prepare your data for it. Evaluate the amount of necessary and relevant data you need to transfer to the new system. Get rid of useless. This review is critical for successful implementation process. Step six Start implementation. Finally, it’s time to start ERP system implementation process. Follow the plan of ERP consultants and this process will come easily. Step seven Test the system. Now we’re talking about what happens after. When ERP system is already installed, it is necessary to test it in order to improve the work and correct possible mistakes. Step eight Continue team training. Employees’ involvement is one of the key points of success. Don’t stop training for better use of all ERP capabilities. Step nine Ask for support if needed. And the last step: always remember you have a support form ERP vendor. Do not hesitate to ask questions and turn for help in order to improve ERP system’s productivity. The above steps will help you to smooth the process of ERP implementation, prepare your team and business for a new system. Just follow them and transition to ERP will be successful and efficient. 1. What is ERP system implementation? Enterprise Resource Planning system’s implementation is a process of integration a new solution into your company. During this, all your data will be transferred into the new system, which will help you manage the business processes better. It requires time, money and resources but it really worth as lots of issues will be solved. 2. How to understand necessity in ERP software? You don’t have a clear vision of what is going on. 3. What are the main worries about ERP implementation? The fear to lose present system and data. All the data will be transferred safely without any damage or loss. 4. 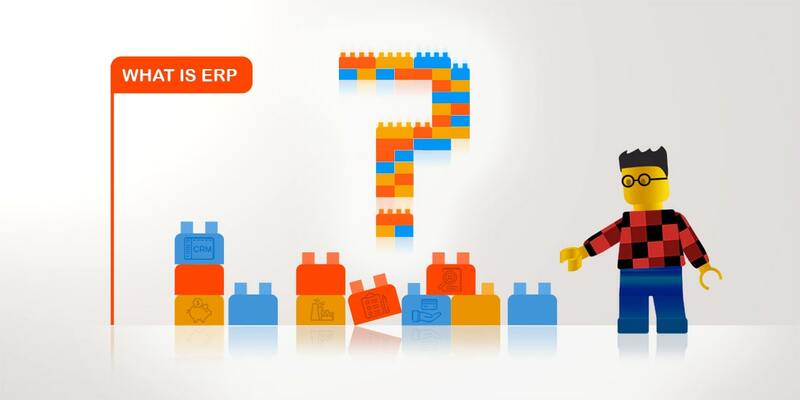 How to choose the right ERP system? As an option, you can also create your own ERP software with such products as Xafari. Choose the correct vendor and consult about the best option for you. You can also make a list of requirements yourself and try several systems for free. 5. What does Enterprise Resource Planning system implementation includes? Ask for support if needed. You can learn about these steps in more details following the previous paragraph. 6. What are the typical mistakes during implementation process? Those mistakes can lead to difficulties and stops in ERP implementation process. In order to avoid them follow simple ERP implementation tips described in the previous question. 7. 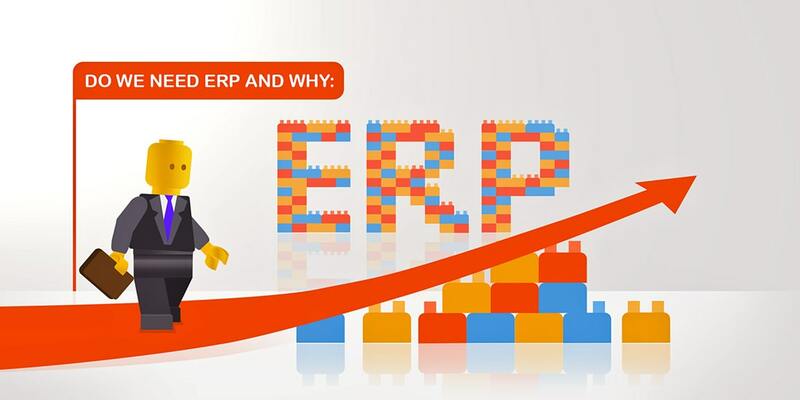 Why implement ERP system? As you have already understood, ERP implementation is a complex and long process. Of course, it requires resources, money and time. But in the same time it is a real investment in the future of your organization which will increase your profit and ease company’s management. How to make implementation process more efficient and correct? The answer as trite as it sounds – start preparation in advance. 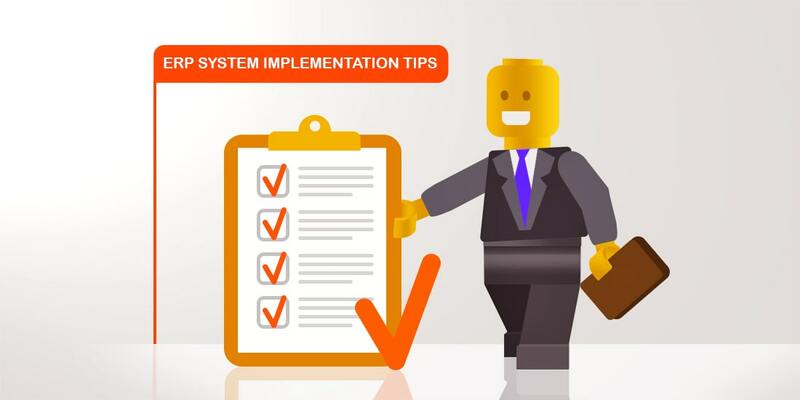 Follow all implementation tips and ERP system will work in the right way for you.